We are rounding the corner to the finish line in the Pray A to Z series! Thank you for reading along, sharing these posts, and for praying with us. You may get caught up on the series here, and download your free prayer cards here. Psst…can I let you in on a secret? In early January, we will have Pray A to Z cards available for purchase. Many of you have said you aren’t able to print them, or that you would like a nicer set for yourself or a friend. We listened! We’re working with a printer now, and these upgraded cards will also have written-out prayers on the backside to further prompt your time with God. We can’t wait to share these with you! Today’s post comes from Colleen Roemer. Tony and Colleen Roemer were faithfully raising three sons 9, 3, and 20 months when Tony accidentally drowned in a lake. The sudden death of my husband, Tony forced me into a transformative relationship with him. Trusting we transcend bleak emotion or physical bodies was an immediate assignment. Our sacred connection remains beyond what severed our earthly union. Craving his presence, yearning for his guidance was agony. I began a survival lifestyle. Caring for tiny broken hearts inside small boys became my function. After trauma, dive teams’ fervent effort, and funeral; real work was revealed. Adjusting to changes is endless. Loving someone you cannot touch; who never stopped loving you is excruciating. I fervently made signs for special souls who dared to enter Grief Land. We are mourning. We breathe but we are not entirely of this world. We are more heaven and Jesus than earth. Those who act on angel whispers, heal me. Compassionate friends accompany me. Many who love us were not able to travel to Grief Land. Genuine love matters and heals. Whether you could hold our hand or not, your love plays a part. I had to let go of trying to help others understand. I stopped putting up signs and sought relief. Resting was elusive. Sleep? My mind wages a vigil I cannot leave. Early in my grief I had a dream. Walking a slippery tightrope – I could not navigate without concentration. Trying to find safety – my heart was racing. I could not breathe. My mission was my children. I could only deal with the next step I was gripping. 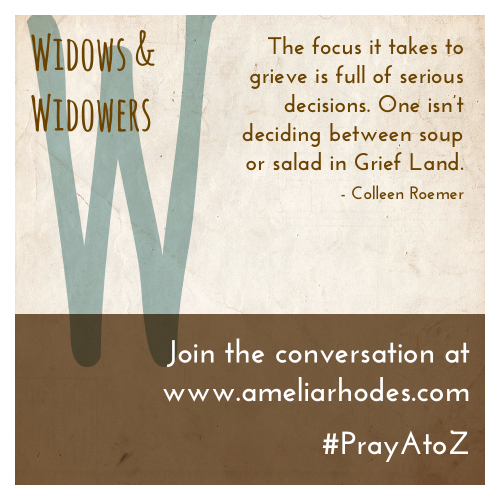 The FOCUS it takes to grieve is full of serious decisions. One isn’t deciding between soup or salad in Grief Land. After the funeral someone phoned upset. Broken and shattered, I was but a shadow of myself to my friend. Only blank black space existed in my brain where once had been light and inspiration. I begged God to be back in my old life, be my old self. Then, Thomas Merton, a deceased author met me in my pain. He became a friend who radiated a light of faith. His writing assured me of God’s presence. Merton reminded me God’s mercy moves us forward. “In mercy….a fierce bonding love as between committed lovers. It is not about pity but Passion. Mercy is fidelity- it is also strength.” I sat with those words. Copied them, drew light, billowy yellow circles around them. I Keep Learning to Trust Who is at my Side. God’s providence sustained me as I clung. We faced a home flood and my son’s Type 1 Diabetes diagnosis (brought on by the stress) as we trucked through the first 12 months of traumatic grief. Assurance came through fairy godmothers delivering fruit. Anonymous gift cards arrived. Visits from Tony’s family soothed us. High school students put up Christmas decorations. Local friends helped when our dock started to float away in the same lake Tony lost his life. My friend acted as my gatekeeper; guided me through paperwork, answered the door or phone when I was too much in a fog. Carried by love and grace; in every mess and battle, I was sent hope. –Read and respect the signs. If they don’t make sense to you; trust they are important. -Widowed persons face losses beyond their partner’s absence. Listen as issues arise. (Offer to be a father figure- attend concerts and sports, help with the yard) Ask her what you can pray for each new day. –Pray for the fruit of their love relationship to be revealed; if she expresses the desire to remember, share where you see gifts of their story. It is meaningful to hear memories or inspiration. -As your friend’s actions change, pray not to take it personally. It’s an entirely new world to handle. Trust that your love touches her deeply. -If your friend is functional at work and with her kids but cannot manage social time, she is not doomed. Keep gently inviting. -Your friend will not stay in Grief Land. It is not a permanent home, (our Home is always with Christ). The protective environment will sustain your dear one. Cut off from the oneness and union of a covenant love, it is holy ground. As a widow re-engages in life, she carries her love story with her. Colleen Roemer lives by faith as a mother of her three young boys. Prayer, intentional friendship and staying open to God’s ongoing gifts are meaningful parts of her world. 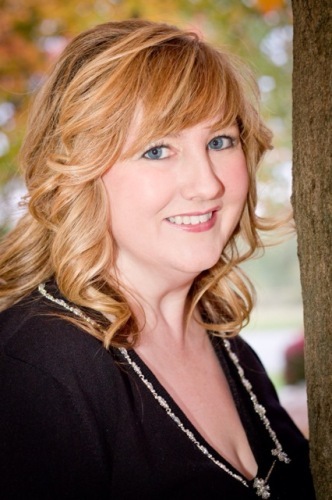 Writing, children’s grief advocacy, spiritual direction, and Christian childbirth ministry fills her life and work. Colleen presented about Families in Grief to members of the social work community in southwest Michigan earlier this year. Colleen’s blog, Love Light and Miracles: “Gratitude in the midst of life, loss and an open heart” is her personal journey parenting as a widow. Her story and effort to bring awareness can be found at preciousone8.wordpress.com. Write down the names of widows & widowers you know, of all ages. Ask God to show you how you can walk through the land of grief with others. Pray for grace as you move towards a widow and walk with her. Pray for God’s peace and strength to sustain her as she cares for her family. Father, We bring these widows and widowers to You today (insert names). Bring peace and comfort in the midst of their overwhelming grief as only You can do. Help us to love them well. When the initial flood of calls and support have faded, continue to bring people to walk with them through the long, lonely season. Help them to grieve well, but not remain in their grief forever. Give them strength to move forward day-by-day. May their hope rest in You and Your eternal love. Amen. Thanks for this post, Ameila and Colleen. I love you both and feel so blessed whenever I read something you’ve written!